Get comfy, this’ll be a long one. Sometimes, it’s not so much about what a place has become as it is about how it got that way. This is certainly true in the case of Auburn’s Melton Hotel. Ordinarily I, like any passer-by, would take one look at the Melton and think ‘I value my life too much to go in there,’ subsequent to the instinctual thought of ‘Just another pub.’ Situated along Parramatta Road at the corner of Station Street, there’s just nothing that sticks out about the hotel in any way; not even the jovially named ‘Hey Hey Kebab’ adjoining gives cause for anything more than a mild double-take. 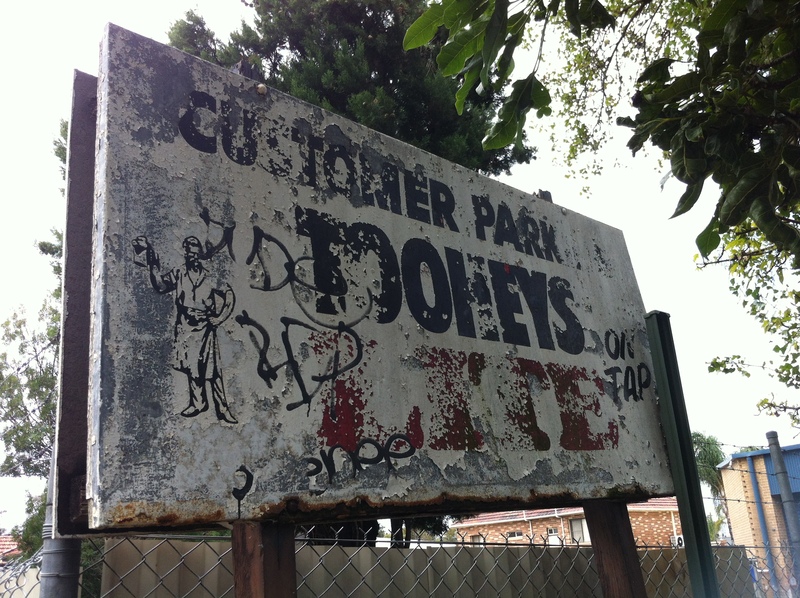 So why, dear reader, am I subjecting you to this dry account of a seemingly humdrum pub? Well, what piqued my interest (as I’m sure it will yours) was the simple fact that the street running parallel to the hotel’s side of the block is called Melton Street South. 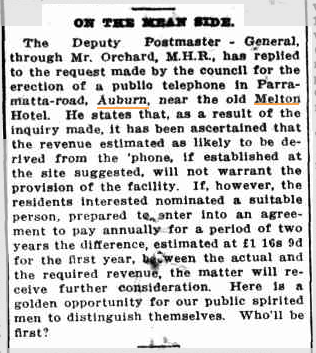 This got me thinking: why was the pub named the Melton Hotel if it wasn’t actually on Melton Street? Clearly it was time for some field detective work, because I knew if I didn’t solve the mystery it would bother me all day. 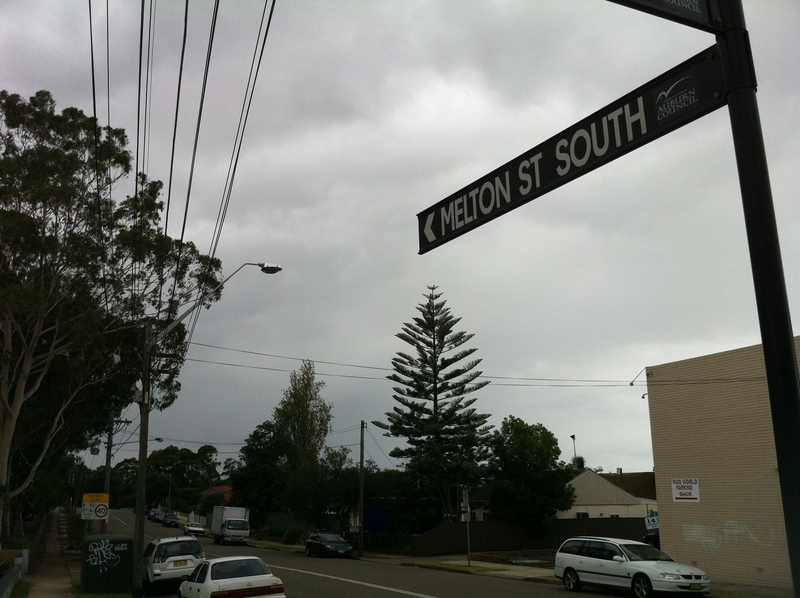 I couldn’t find anything about anyone named Melton in the area’s history (it’s not even clear to historians why the area itself is named Silverwater), but I had a feeling if they were honouring some local hero, they wouldn’t just name a pub and a street after them. 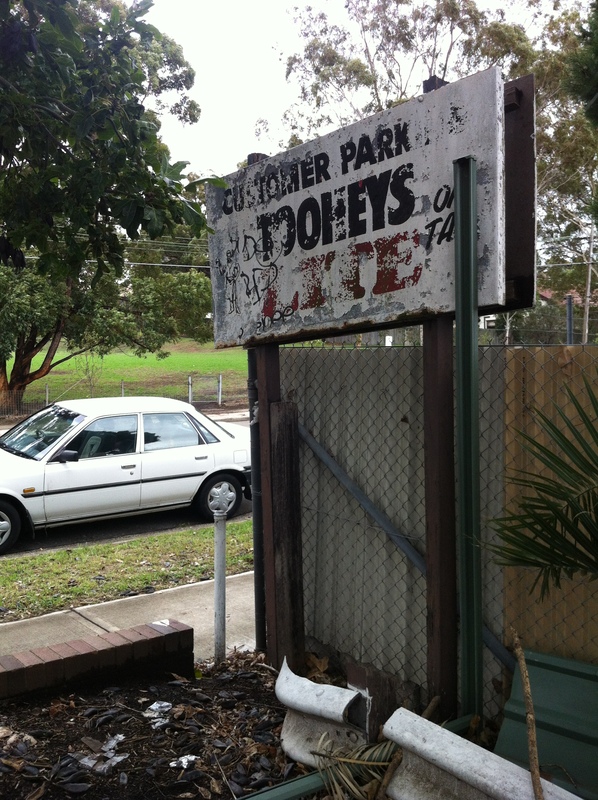 First port of call: the Atlas of the Suburbs of Sydney, ca 1885-1890. This map of Auburn shows that neither Station Street nor Melton Street South existed at the time. 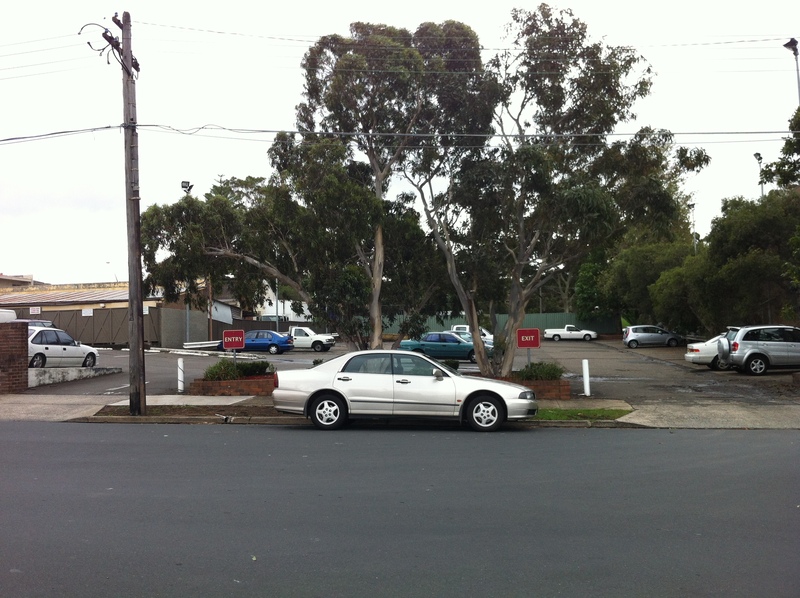 Today, they’re located between the map’s Stubbs Street and Sutherland Street (now Silverwater Road). Next: time to research the pub itself. Thankfully, the pub in question has an illustrious history; according to the hoteliers, its license dates back to 1811 (when it was owned by Samuel Haslem, of Haslem’s Creek fame), attached to an inn located not too far from the current site. 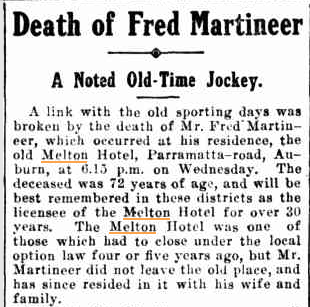 In 1877 a former jockey, Fred Martineer, became the licensee of the Melton Hotel and held that position for over 30 years, firmly establishing the pub as a favourite of the area’s myriad meat workers. 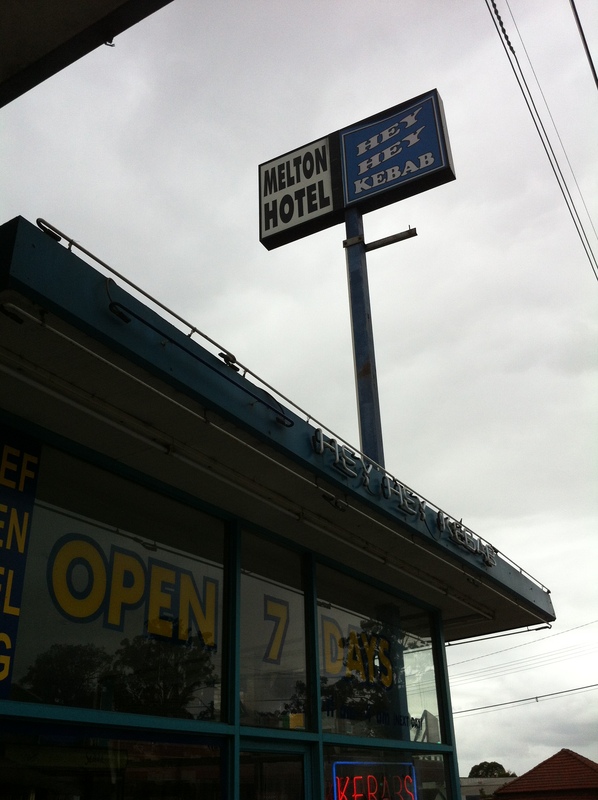 The Old Melton had been named sometime prior to 1895, when it appeared on that year’s list of Hotel Licensees. It’s this hotel that sat on the corner of Melton Street South (then Melton Road), so from this we can assume the street was named after the pub. But, like me, the Martineers couldn’t let it go. 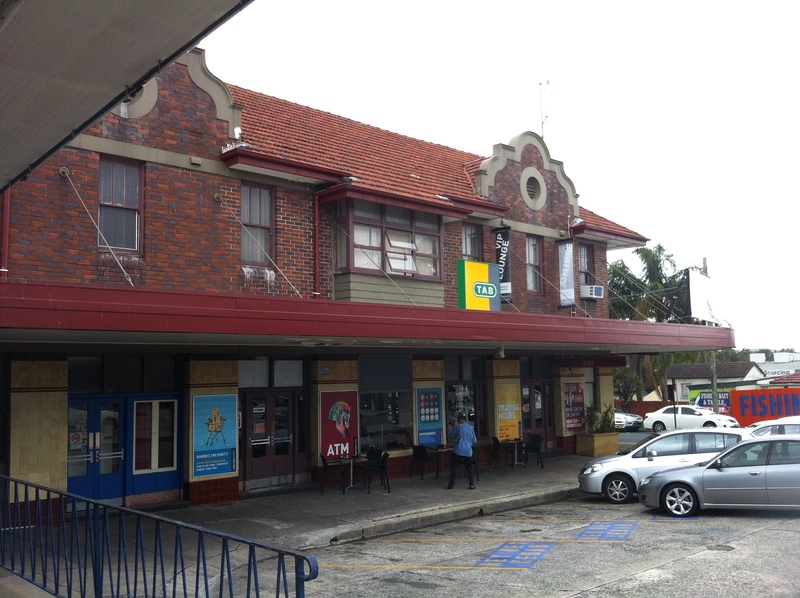 In 1929, the Martineers built the NEW Melton Hotel at its current location, which at the time seemed to take up the entire section of Parramatta Road between Melton Street and Station Street. That’s all well and good, but today it’s a very different story. Nothing remains of the Old Melton, the New Melton is nowhere near the corner of Melton Street, and there’s a string of dingy shops between it and its namesake street. What happened? 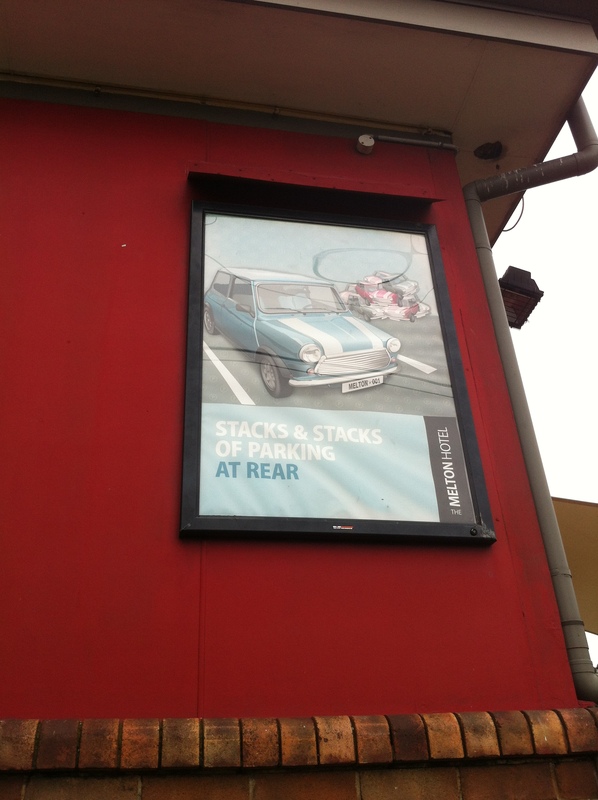 …is all that remains of this side’s former life as an entrance/exit to the Melton’s car park, and indeed of the Melton’s connection to the street it inspired. A closer look at the other side of the fence backs this deep bit of insight up. 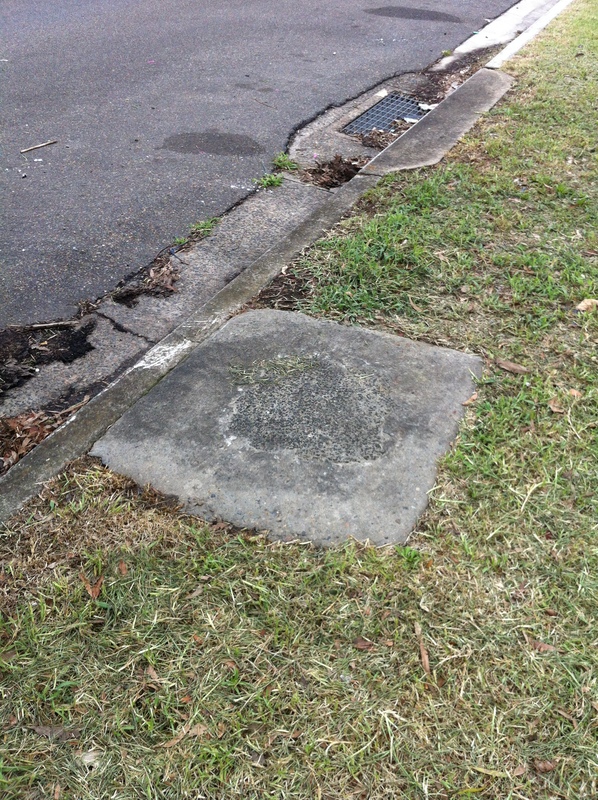 The kerb is clearly a lighter shade of cement, indicating the spot where the driveway used to be. 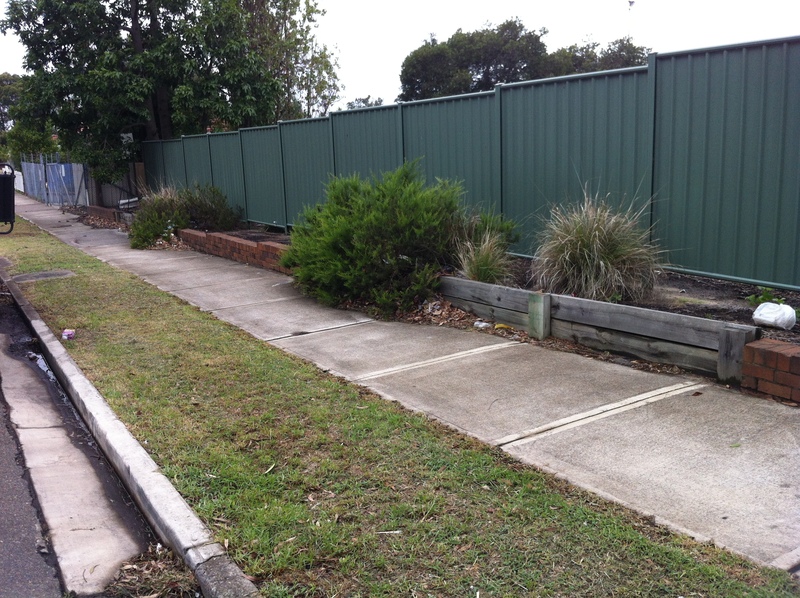 The two bushes are doing a laughable job of hiding the wooden fencing that blocks off those driveways. 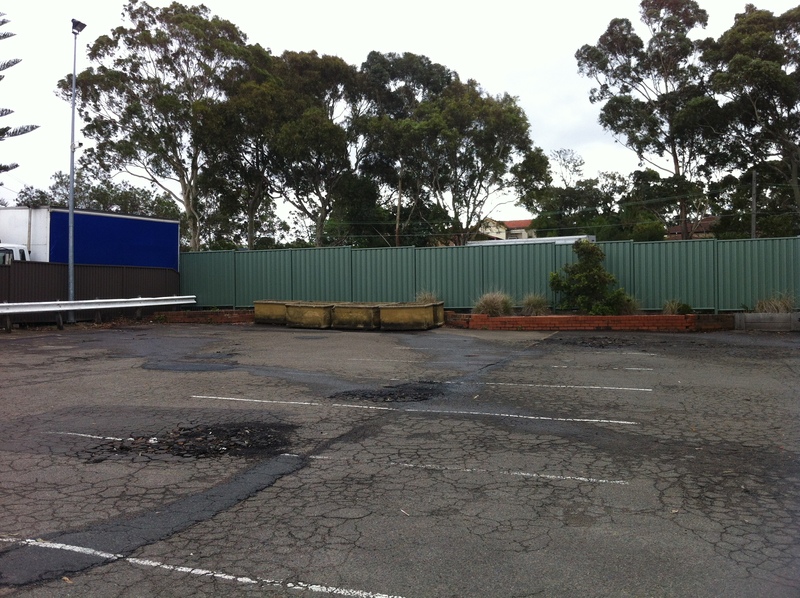 Even stranger is the choice to keep these former barriers, and simply cut them where the new fence intersects. 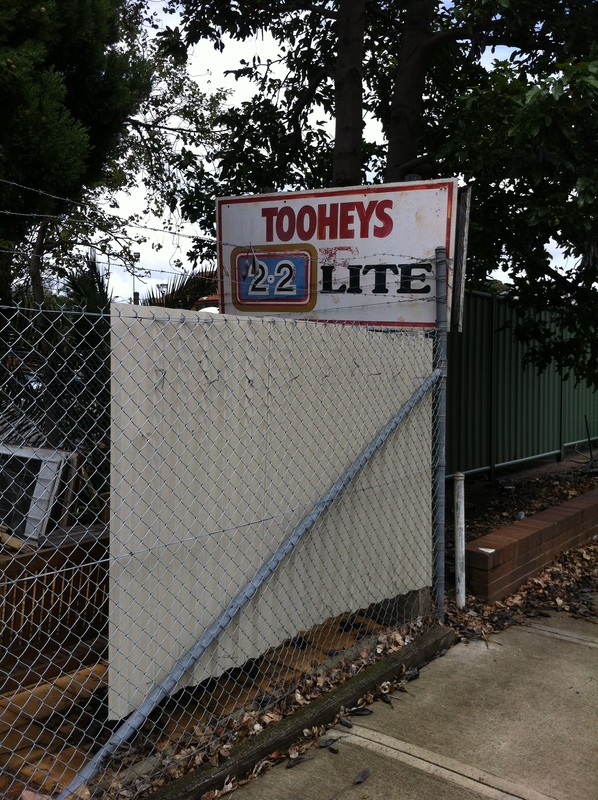 Remarkably well-preserved, the sign advertises Tooheys 2.2, which was an attempt by Tooheys to introduce a light beer to their otherwise heavy range in the late 1980s. While it would be nice to think that this was Tooheys doing its part to avoid another 1914 Local Option fiasco, the way the ad puts a jokey spin on drunken violence and employs a disturbing tagline clearly aimed at the breathalyser crowd suggests a more cynical set of motives. For better or worse, this didn’t take, and by 1995, 40 years after the Local Option acts were repealed, 2.2 was 6.0 feet under. It’s worth pointing out that 2.2 was supplanted in 1998 by Hahn Premium Light, which is now Australia’s top selling light beer…and owned by Tooheys. A fascinating trail of the significant episodes of 2.2’s short life can be found here (WORTH READING). I think the lesson here is don’t give your beer a name that invites terrible Richie Benaud impressions. 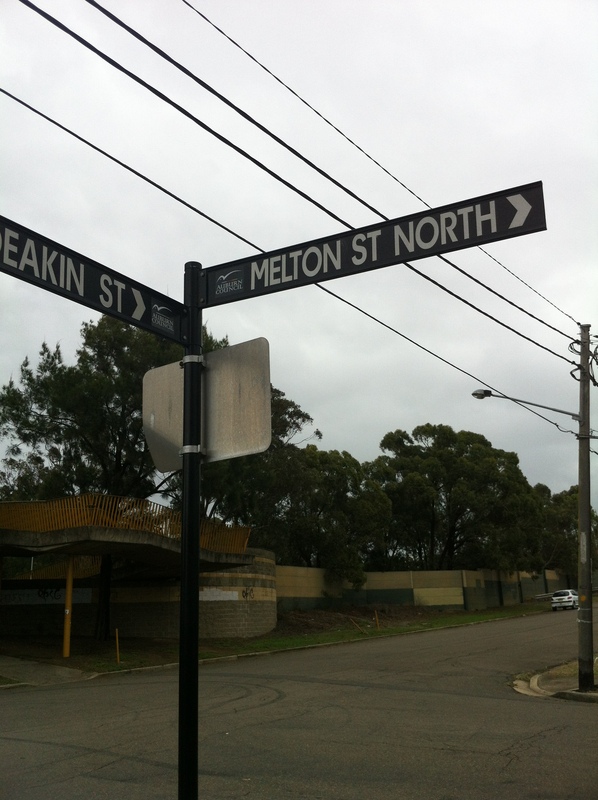 But back to the Melton. 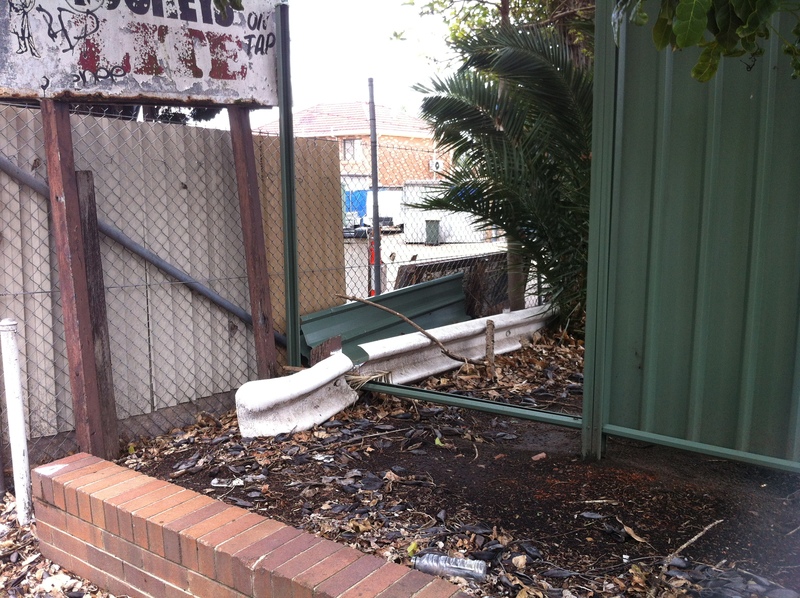 Also of note are the apparent remains of either a garbage can or a phone box (remember those?) located between the two driveways. Let’s stop for just a second to process this. Regardless of whether this was in fact a garbage can which spent countless nights being chundered into by melting Meltonians, or a phone booth which spent its Friday and Saturday nights listening to endless pleas by hopelessly pissed pub patrons for their wives, girlfriends, parents or less drunk mates to come and pick them up, and then being chundered into, the fact remains that it was located BETWEEN the two driveways. How is this a spot for either of those objects which both appear as bright flames to drunken moths? The line for the phone alone would have been both long and drunkenly ignorant enough to queue across the nearest driveway. You can’t tell me this didn’t cause at least one clipped wing. 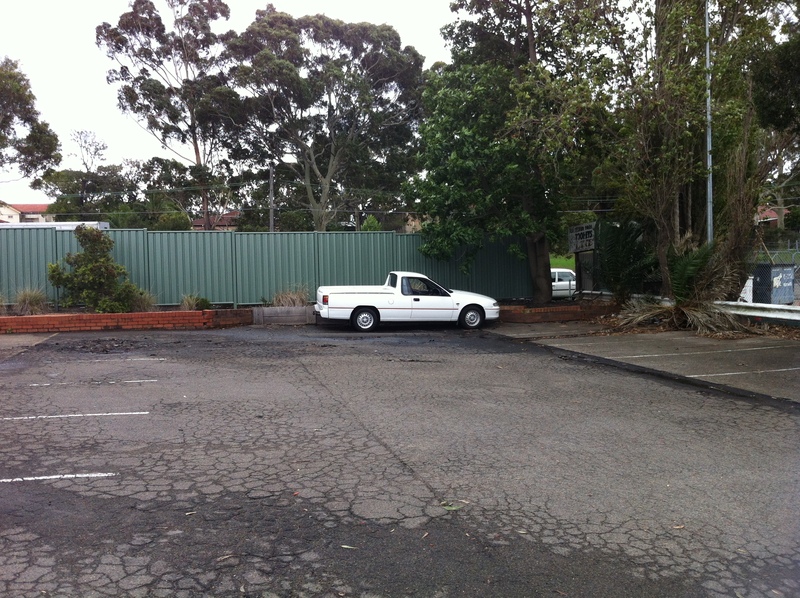 Even worse is the pub’s proximity to Auburn North Public School. 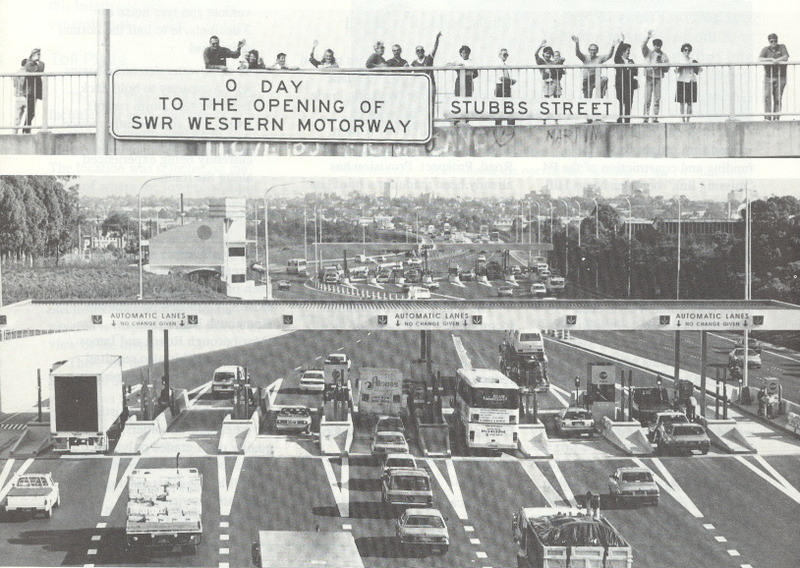 Anyone foolish and drunk enough to ‘breathe easy’ and attempt to drive home via the Melton Street exit (or entrance, depending on the level of drunkenness) on a weekday afternoon ran the risk of knocking over a kid on their way home. If it didn’t happen or nearly happen, I’d be surprised. With these reasons in mind, it’s easy to imagine just how and why the Melton would have had these driveways sealed up, thereby severing its ties to its own history. It’s also easy (and funny) to imagine particularly OCD and DUI pub patrons attempting to drive out of their usual exit and smashing the fence, otherwise why the need for the bushes and the potplants? Sure, the Melton could have chosen to seal up the Station Road driveways, which face the old Joyce Mayne complex, but it turns out that a child’s life is worth more than that of a shopper looking for bargain whitegoods. Who knew? And all because some public spirited men didn’t know their limits and couldn’t hold their beer.